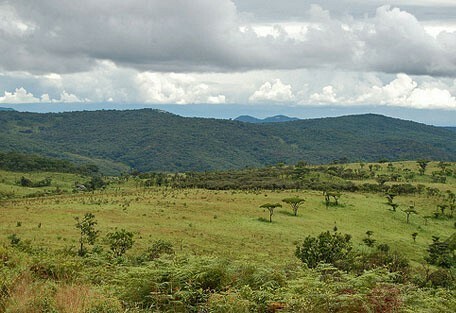 Nyika National Park is the oldest and largest park in Malawi. It boasts spectacular scenery with blankets of wildflowers and more than 200 species of orchid, while it has an incredible diversity of wildlife. The Nyika National Park is situated on a scenic 2000m plateau offering breathtaking views of Lake Malawi as well as the expanse of the northern country. 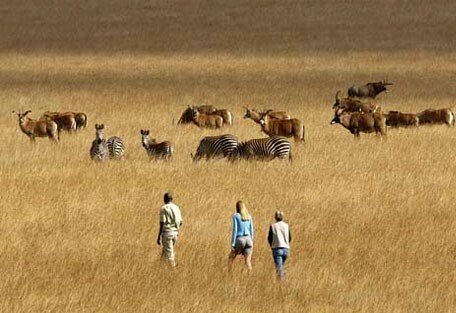 Nyika National Park is characterised by scenic mountain landscapes and endless grasslands. Four rivers originate on the plateau and flow down into the surrounding forests creating beautiful waterfalls. Highlights in the park include the Juniper Forest, a particular area in the national park where a forest reserve has been proclaimed to protect the Juniperus procera, the southernmost species of the tree in Africa. Another highlight is Jalawe rock which offers a spectacular viewpoint. The rock consists of a single piece of granite that stands out from the plateau with an incredible sheer drop of hundreds of meters on three sides. This park on the Nyika Plateau is the largest in Malawi, and also the oldest, having been declared as a National Park in 1965. 'Nyika' means 'where the water comes from', referring to the plateau's elevation, making it wetter than surrounding areas. 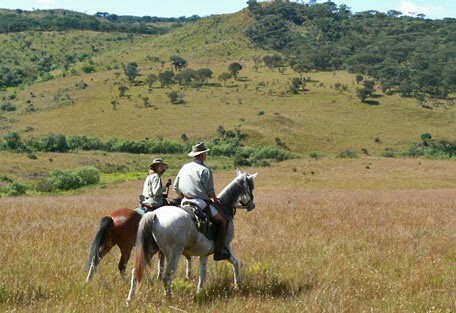 This vast plateau is a perfect place for game drives, horseback riding and long walks through the forests and grass. Streams and dams are stocked with trout - good news for keen fishermen - while game species such as eland, zebra, roan, waterbuck and the diminutive duiker roam the area. 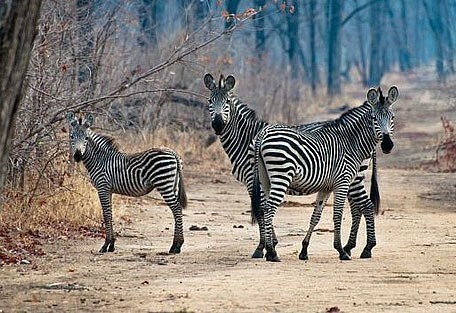 Nyika National Park crosses over inoto Zambia, and the Zambian park keeps the same name. The only access to the park is through Malawi, and in the old days, there was no border post, merely a park fee for crossing over into Zambia. Guests are accommodated in beautiful double storey timber cabins with magnificent views and private verandas. The main attraction here is the accessibility to Nyika National Park which is situated on a 2000m plateau with incredible views of Lake Malawi. Activities at the camps and lodges in Nyika National Park conduct a diversity of activities that truly offer guests an experience of this beautiful landscape. Horse riding, mountain biking, forest walks and fly-fishing are available, alongside the more conventional 4x4 game drives. The summer months offer a vibrant display of wildflowers, orchids, as well as incredible bird-watching, which tickles any twitcher's fancy with almost 400 recorded species in the park. These include the wattled crane, Denham's bustard, bar-tailed trogon and Auber buzzard, while the red-winged francolin is endemic. 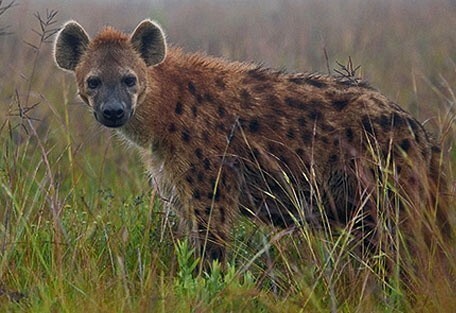 Wildlife that can be seen in Nyika National Park includes eland, roan, zebra, warthog, hyena, leopard (of which it has the highest number in Central Africa), jackal and serval cats. About 100 mammalian species have been recorded in the park. Elephants and buffalo have been seen in the lower lying areas in the past, however, recently there have been sightings of lions and elephants up on the plateau. Chelinda Lodge stands on the edge of pine forest, with panoramic views over the plateau, and is built entirely out of timber and stone collected from the plateau. 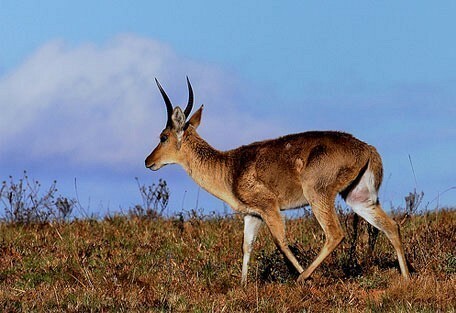 Nyika is located in the far north of Malawi, about 480km from Lilongwe. Sun Safaris will arrange for a road transfer for guests from Lilongwe airport to their lodge in Nyika.